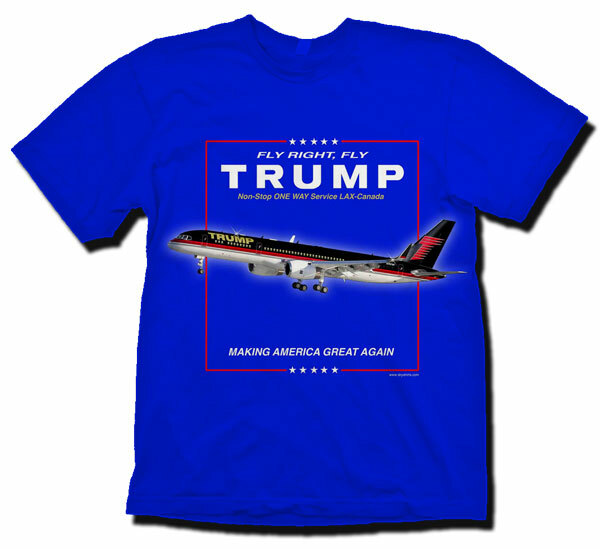 "Fly Right, Fly Trump Force One! Whether you are Republican or Democrat, you have to admit, Donald Trump owns a beautiful B-757-200. Both inside and out. We couldn't resist doing a T-Shirt of this! As you can see, we used a background using his campaign sign and modified his slogan to "Making America Great Again." 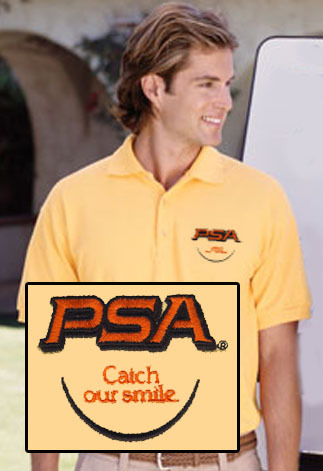 On a 100% cotton heavyweight shirt as always, the highest quality. Now this is one shirt that will really turn heads!